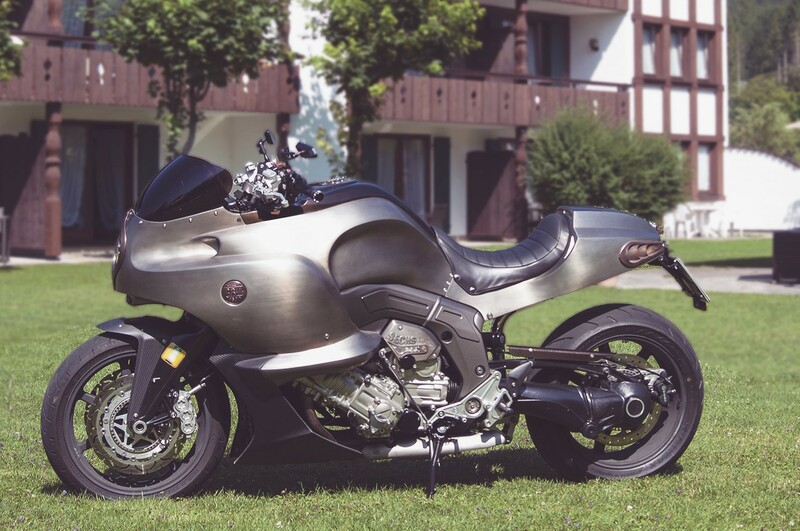 A customized BMW K1600 is one of the truly rare builds, but as if by magic, almost each one of them we stumble upon is a breathtaking project. 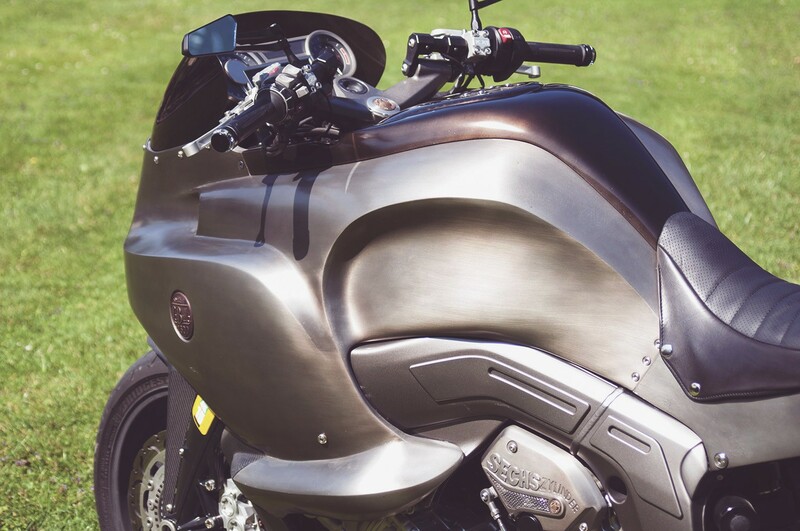 The creation of Spanish Delgado brothers behind the badge of the Valtoron workshop is not an exception to the rule, and The Bull (La Bulla) will make you see the K1600 machines in a completely different perspective. 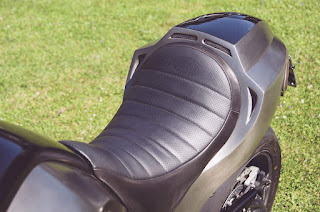 The K1600 may be the ultimate luxury tourer as BMW advertises it, but we are talking about a bike that is bulky and heavy. Its owner wanted to feel its 160 horsepower in a more lively manner, so Valtoron stripped the K1600 almost down to the bone. 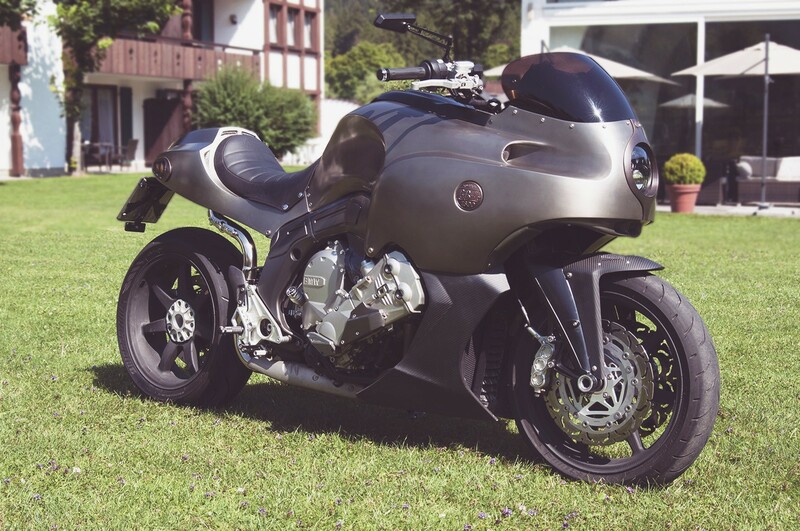 "Almost" because the bike still had to comply with the strict German TUV regulations, so the fuel tank and much of the electronics, switches and sensors had to be kept. Still, this was no impediment for Valtoron, and they binned almost everything, ditching all the luxury and transforming the BMW flagship into a solo beast. With the fuel tank intact, the Delgado brothers were a bit limited as to how far they could take the shaping of the bodywork. 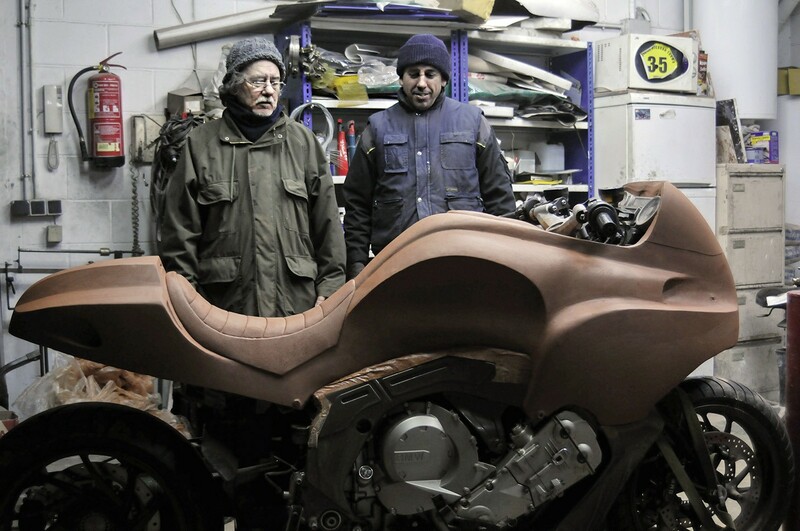 They asked one of their good old friends, sculptor and artists Raphael Muyor to lend a hand. 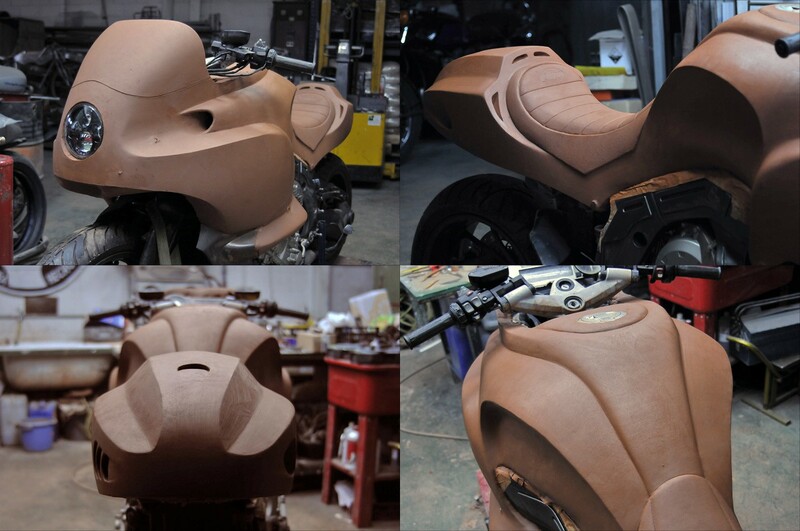 He sculpted the clay shape directly onto the bike and the customer was pleased with the result, so they took to recycling aluminium and casting the panels. Later, these panels have been welded into a monocoque-like structure with fluid shapes that make the K1600 look more like a superbike on a steroids overdose, but in a good way. A Harley Daymaker headlight was integrated into the front cowl and HATTECH crafted the peculiar but exceedingly good-looking six-port exhaust that opens up in the tail section. 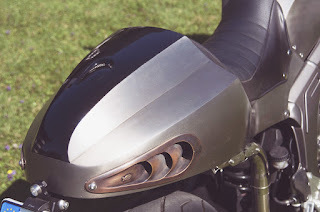 BST carbon wheels replaced the stock ones, and carbon was also used for tank and tail covers, as well as for the front fender and belly pan. On the engine side, nothing was changed, but rather carefully kept in the same condition as it was before the K1600 became La Bulla. 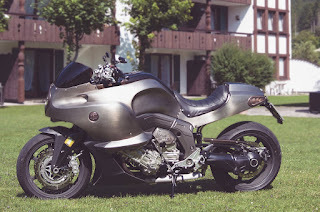 According to the returnofthecaferacers, the owner took this bike on a trip that involved crossing Spain, France, Italy, and Switzerland into Germany, and all the way back, without the slightest problem.A customized BMW K1600 is one of the truly rare builds, but as if by magic, almost each one of them we stumble upon is a breathtaking project. The creation of Spanish Delgado brothers behind the badge of the Valtoron workshop is not an exception to the rule, and The Bull (La Bulla) will make you see the K1600 machines in a completely different perspective. 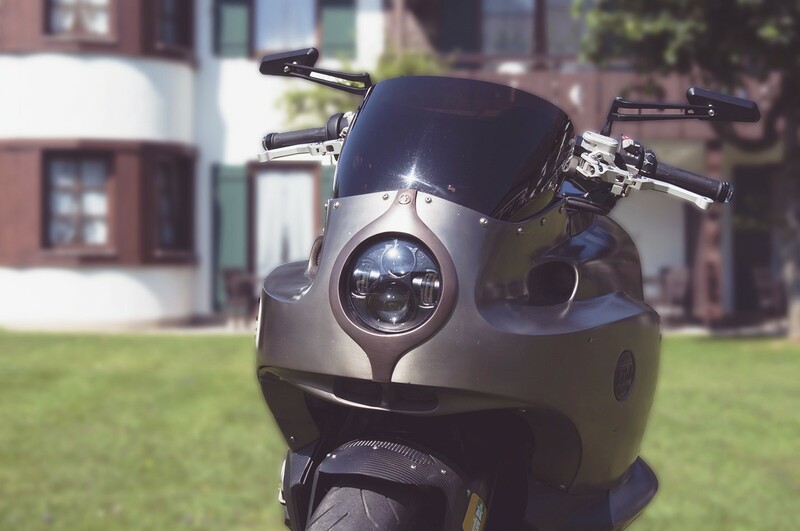 According to the returnofthecaferacers, the owner took this bike on a trip that involved crossing Spain, France, Italy, and Switzerland into Germany, and all the way back, without the slightest problem.